The city of Jerez has a long history with motor sport, especially with motorcycling. The Circuit of Jerez was built in 1985, and in the following year hosted its first Grand Prix. The circuit was originally built to host the Spanish Formula 1 Grand Prix however this soon began to be hosted by the Catalunya circuit in Barcelona, leaving the track exclusive to the MotoGP in 1987. 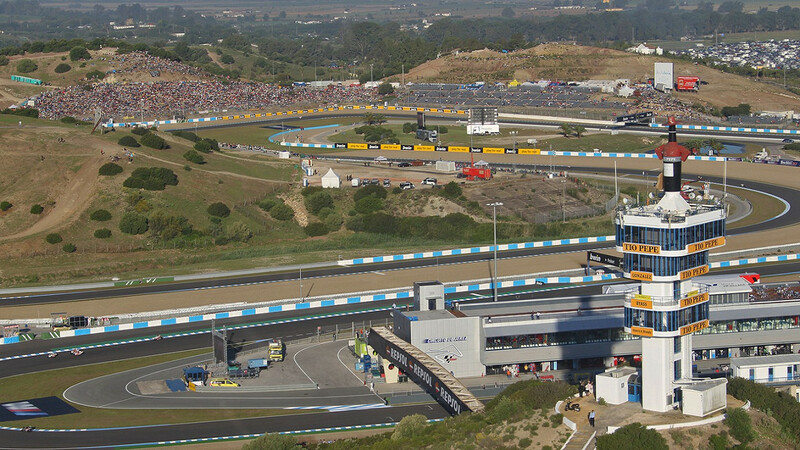 The Circuit of Jerez has been a popular venue for team testing throughout the year for both F1 and MotoGP. It is also a favoured track of the MotoGP riders, which consists of 13 turns; 5 left corners and 8 right corners. Its longest straight measures 0.61 km. 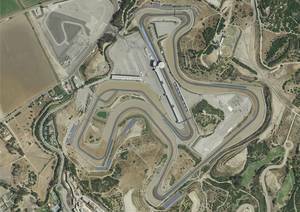 Located approximately 14km from the Jerez Airport, and 10km from Jerez City Centre, the circuit is set amongst the southern valleys of Spain. 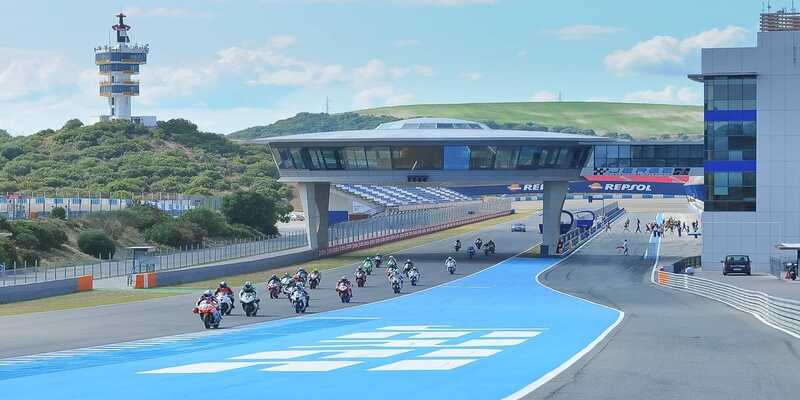 This circuit offers fans consistent good weather (it boasts 3,200 hours of sunshine a year) and beautiful scenery, which attracts many MotoGP fans through its gates. The grandstands offers excellent views of the track, with the capacity to welcome 250,000 spectators. The circuit has been complimented by race goers for the circuits facilities and special atmosphere.